Mon. – Sat., 10 a.m. – 9 p.m. & Sun., 12-6 p.m. 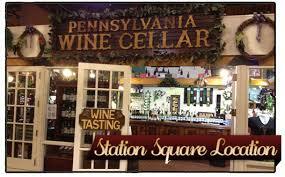 Located in Station Square, wines from the Christian W. Klay collection are available for tasting and purchase at this location. The shop also features wine accessories and gifts. Today, the winery offers guests entertaining special events, informative and educational tours, ideal venues for private events, wine tasting, and shopping in two locations. An active partner in the community, the winery also hosts annual benefits for Fayette Friends of Animals and other non-profit organizations.